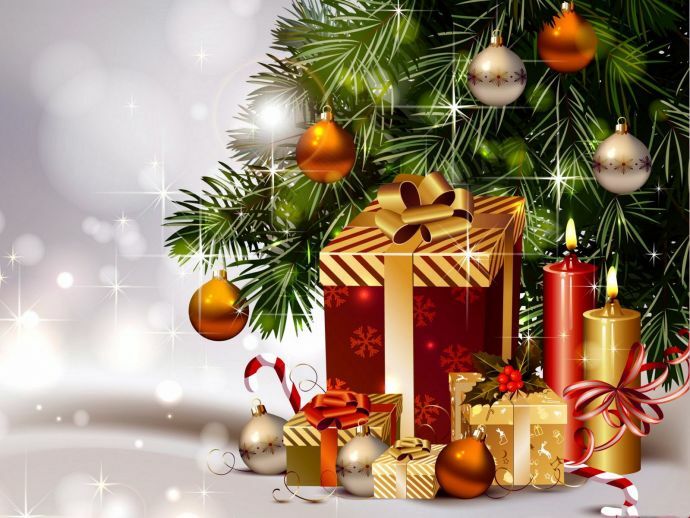 Jesus And Virtues, Trees And Celebration, Santa And Gifts: Know What Christmas is All About! Christmas is about love, friendship and celebrating together. It is the time to say "Not me, but YOU". In a one horse open sleigh, Hey! As December approaches, this is the song on everybody’s lips. It is time for celebration. Days are full of mirth and merriment. The preparations begin a month before. Christmas is a festival celebrated world over to commemorate the birth of the Holy Child Jesus Christ. King Herod had spread his tyranny all over the land of Judea. A prophecy was made that a messiah would rise to end his rule. After hearing this, Herod ordered that all the newborns in town be killed. In the meanwhile, Mary conceived Jesus through divine intervention, and fled to Bethlehem along with Joseph, to give birth to Christ. At midnight, she brought forth the baby, wrapped Him in swaddling clothes, in a manger because there was no room in the inn. The angels came down to Earth, and informed the shepherds that their Savior was born! A bright star shone over the night sky to mark the birth of Christ. Kings came with gifts to welcome Christ and were guided by the star; people sang and danced to celebrate the end of evil. So, centuries have passed since the birth of Christ but to date people decorate churches and houses with a crib, symbolizing the event. 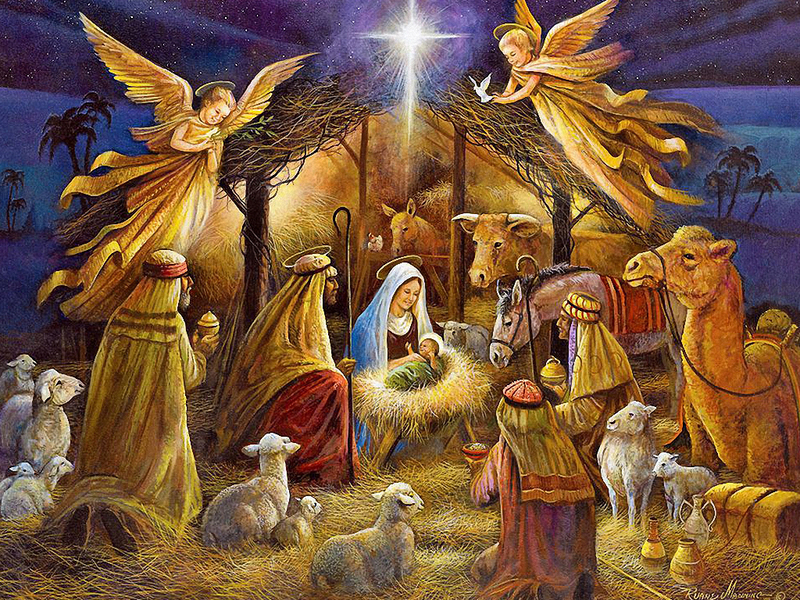 A crib is the reconstruction of the scene during the birth, with Mother Mary holding the Child, Joseph standing beside her, the dancing angels, the shepherds, their herd and the three kings of Orion town. Mass is conducted around the crib at midnight where people sing Him praises and recite hymns to pray to the Lord. All come together at the church and take part in carol-singing. Carol-singing is one the salient features of the Christmas celebration. Songs like “Silent night, holy night” and “Joy to the world” are sung to worship Him. Carols like "Rudolph, the red nose reindeer" and "Santa Claus is coming to town" are foot-tapping indeed. Christmas trees adorn the places where Christmas is celebrated. 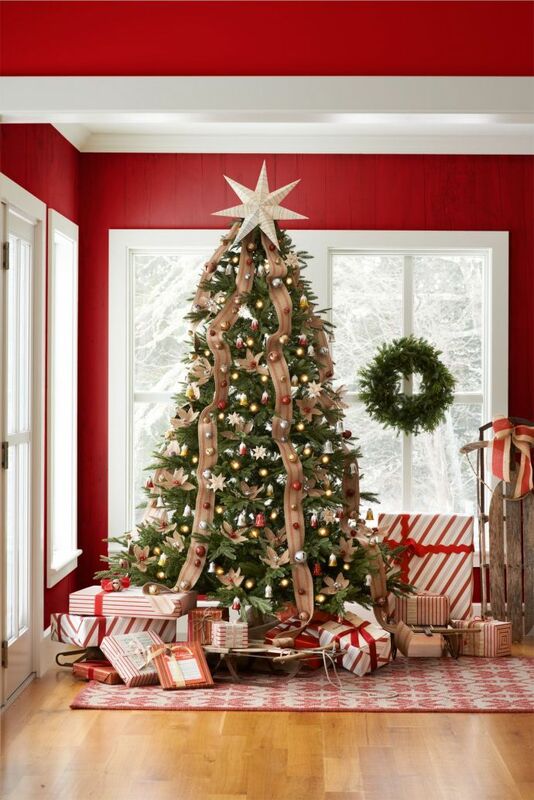 However, the history of Christmas trees dates back to the times before Christ. In the pre-Christian era, as the winter solstice approached and the plants died, pagans brought evergreen boughs into their homes as an act of sympathetic magic, intended to guard the life essences of the plants until spring. This custom was later appropriated by Northern Europeans and eventually it becomes the so-called Christmas tree. In the present times every household makes its own Christmas tree. It is decorated with lights, bells, candles, ornaments and a shiny star sits atop each tree. Every member of the family adds his own piece of decoration to the tree. Gifts are laid below the tree which multiplies its gaiety. Christmas trees light up the celebration to add glitter and light to the party. Parties are full of fun and frolic. They go late into the night with loads of singing and dancing. Special food is made for the special occasion. Plum cakes, pastries, roasted chicken and turkeys, gingerbread and eggnog brighten the dinner scene. Christmas has a different meaning for children. For kids, Christmas is a double delight as it falls during winter vacations and surrounds food and gifts. It is the time when children fantasize and eagerly wait for the gift from their very own, Santa! Santa Claus also goes by the name Saint Nicholas, Father Christmas, or simply "Santa". Santa is believed to bring gifts to the homes of the good children on Christmas Eve. Santa is a bubbly character with a hoarse voice who shouts Ho ho ho… and distributes gifts to all his beloved children. Santa is stout, white-bearded and wears a red coat with a white collar, white-cuffed red trousers, and black belt and black boots and shoulders a bag full of goodies for kids. Santa is believed to make a list of all the children throughout the world, giving them gifts according to their behavior "naughty" or "nice" including candies, chocolates, toys and books, to all of the well-behaved children in the world, and coal to the naughty children. He carries out this Herculean task with the help of his elves that make the toys in his workshop-factory at the North Pole and the reindeers that pull his sleigh. But the question arises whether Santa is for real? Does he really live in the North Pole? Are the flying reindeers a possibility? Can we spot him riding his sleigh on Christmas Eve? Answers to these questions can never be found but the portly Santa is a favorite with little children and can be spotted at shops, churches and schools handing out presents to all. He is the one who spreads the festive cheer amongst people. Christmas is the main festival of all the Christians celebrated in numerous ways. Other than the birth of Jesus, Christmas is about giving more to others than to yourself. The true spirit of Christmas lies in sacrifice. The Christmas period is time for stories, stories that touch the soul and kindle in every heart, the spirit of giving. It is about bringing a smile on many a faces. Most people donate materials to orphanages and old-age homes. Often people share the joy celebration with the underprivileged and downtrodden. Christmas is about love, friendship and celebrating together. The entire family comes together for this festival. Friends and relatives are invited and gifts are shared. Christmas is the time to say "Not me, but YOU". So, let us keep the essence of Christmas alive and here’s wishing you a Merry Christmas!